As the recent maritime contests in both the South and the East China Sea has shown, Beijing underestimated an emotional charge that the territorial disputes carry along, as well as the convenience given to the neighbors to escalate these frictions in order to divert public attention from their own pressing domestic socio-economic and political issues. A costly, spiral and dangerous game of the reinvigorated nationalistic rhetoric, it presently instigate a climate that could easily hijack the next Asian decade as a whole. Speculations over the alleged bipolar world of tomorrow (the so-called G-2, China vs. the US), should not be an Asian dilemma. It is primarily a concern of the West that, after all, overheated China at the first place with its (outsourcing) investments. 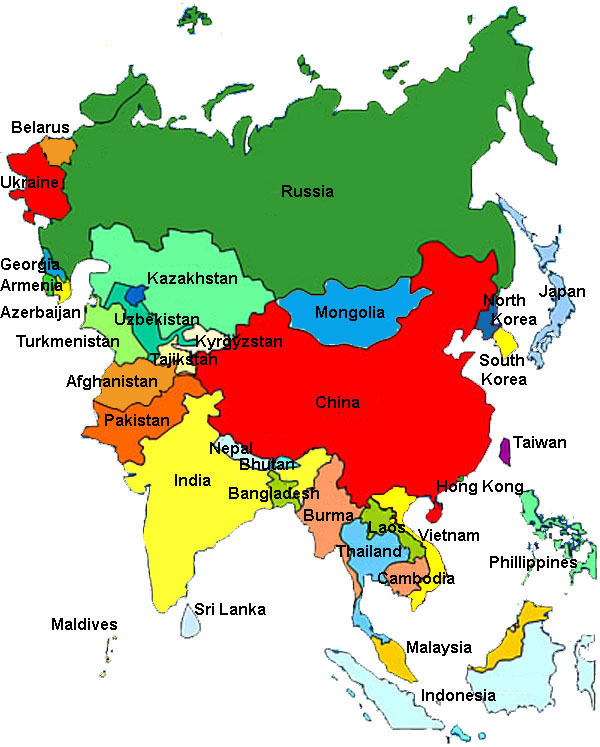 Hence, despite a (cacophony of voices, actually of a) distortive noise about the possible future G-2 world, the central security problem of Asia remains the same: an absence of any pan-continental multilateral setting on the world’s largest continent. Hence, the Chinese grab for fossil fuels or its military competition for naval control is not a challenge but rather a boost for the US Asia-Pacific –even an overall– posture. Calibrating the contraction of its overseas projection and commitments – some would call it managing the decline of an empire – the US does not fail to note that nowadays half of the world’s merchant tonnage passes though the South China Sea. Therefore, the US will exploit any regional territorial dispute and other frictions to its own security benefit, including the costs sharing of its military presence with the local partners, as to maintain pivotal on the maritime edge of Asia that arches from the Persian Gulf to the Indian Ocean, Malacca, the South and East China Sea up to the northwest–central Pacific. Is China currently acting as a de facto fundraiser for the US? Opting for either strategic choice will reverberate in the dynamic Asia–Pacific theatre.8 However, the messages are diametrical: An assertive military – alienates, new technology – attracts neighbors. Finally, armies conquer (and spend) while technology builds (and accumulates)! At this point, any eventual accelerated armament in the Asia-Pacific theatre would only strengthen the hydrocarbon status quo, and would implicitly further help a well-orchestrated global silencing of consumers’ sensitivity over the record-high oil price. With its present configuration, it is hard to imagine that anybody can outplay the US in the petro-security, petro-financial and petro-military global playground in the decades to come. Given the planetary petro-financial-media-tech-military causal constellations, this type of confrontation is so well mastered by and would further only benefit the US and the closest of its allies. China’s defense complex is over-ideologized, under-capitalized, technologically outdated and innovation-inert, while the US’ is largely privatized, highly efficient, deployable and prime innovative. Thus, even in security domain, the main China’s problem is not a naval or overall military parity, but the disproportionate technological gap. After all, China’s army was not meant (by Mao) and maintained (by Deng and his successors) to serve the external projection purpose. It was and still remains an ideological enterprise of cohesion, an essential centrifugal force to preserve territorial integrity of this land-colossus. Within the OECD/IEA grouping, or closely: the G-8 (the states with resources, infrastructure, tradition of and know-how to advance the fundamental technological breakthroughs), it is only Japan that may seriously consider a Green/Renewable-tech U-turn. Tokyo’s external energy dependencies are stark and long-lasting. Past the recent nuclear trauma, Japan will need a few years to (psychologically and economically) absorb the shock – but it will learn a lesson. For such an impresive economy and considerable demography, situated on a small land-mass which is repeatedly brutalized by devastating natural catastrophes (and dependent on yet another disruptive external influence – Arab oil), it might be that a decisive shift towards green energy is the only way to survive, revive, and eventually to emancipate. An important part of the US–Japan security treaty is the US energy supply lines security guaranty, given to (the post-WWII demilitarized) Tokyo. After the recent earthquake-tsunami-radiation armageddon, as well as witnessing the current Chinese military/naval noise, (the cabinet of the recently reconfirmed PM Noda and any other subsequent government of) Japan will inevitably rethink and revisit its energy policy, as well as the composition of its primary energy mix. Tokyo is well aware that the Asian geostrategic myopias are strong and lasting, as many Asian states are either locked up in their narrow regionalisms or/and entrenched in their economic egoisms. Finally, Japan is the only Asian country that has clearly learned from its own modern history, all about the limits of hard power projection and the strong repulsive forces that come in aftermath from the neighbors. Their own pre-modern and modern history does not offer a similar experience to other two Asian heavyweights, China and India. That indicates the Far East as a probable zone of the Green-tech excellence (as much as ASEAN might be the gravity center of the consolidated diplomatic and socio-political action) and a place of attraction for many Asians in the decade to come. 1. Most of China’s economic growth is attributed to outsourced manufacturing. The US, the EU, Japan, Taiwan, Korea, Singapore and other Asian and non-Asian OECD countries predominantly take advantage of China’s coastal areas as their own industrial suburbia. It remains an open question how much this externally dictated growth of China has a destabilizing effect on the inner compact of the Sino nation. 2. The geopolitical event of the year is ahead of us. The forthcoming 18th Congress of the China’s Communist Party should soon decide on its leadership for the next 10 years. In the secretive, opaque world of CPC decision making, the ongoing contest between taizi dang (children of senior Party figures and heroes of the Revolution) and tuanpai (party members of a modest social background who successfully played their careers in the Communist Youth League) is an important although not the only ideological and socio-political power-struggle puzzling the future of China. 3. Since the glorious Treasury Fleets of Admiral Zhèng Hé have been dismantled by the order of the Mandarin bureaucracy in 1433, China has never recovered its pivotal naval status in the Asia-Pacific. 4. More bilateralism (triggered by unilateralism) is not only less multilateralism– essentially, it is a setback for any eventual emancipation of the continent. 5. In late September 2012, China put its first aircraft carrier (the Liaoning) into service with a lot of parade domestically and huge anxiety in its neighborhood. What media underreported are the three important details: (i) this Soviet-constructed vessel is over 20 years old (bought from Ukraine in 1998); (ii) its runway deck cannot support any aircraft landing; (iii) China’s best tactical jetfighter J-8 (a copycat of the Soviet MIG 23s, 30-year-old technology) is not designed for landing on any aircraft carrier. From the point of view of military technology, China is still well-behind were e.g. the Imperial Japan was some 80 years ago – as the Liaoning carrier is neither home-made nor of any practical use for either the Sino Navy or its Air Force. 8. Historically, both Europe and Asia had a weak centre with the continent’s peripheries traditionally pressing on a soft centre. With a growth on strength of 19th century Germany (Bismarck’s Greater Prussia), and of late 20th century’s Deng’s China, the centre started pressing on its peripheries for the first time in modern history. One of the central security dilemmas between Bismarck and Helsinki times was ‘how many Germanys’ Europe should have to preserve its inner balance and peace. Europe and the world have paid an enormous price in two world wars to figure it out. With the bitter memories of Nazism still residing in the body and soul of the continent, the recent unification of Germany was only possible within the Helsinki’ tranquilized Europe.